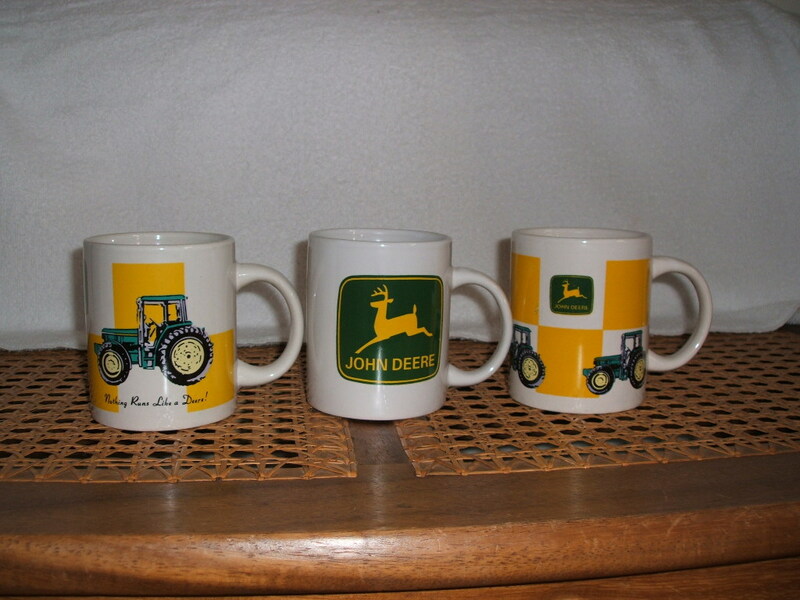 John Deere china coffee mugs, set of 3 with the logos, tractors, and one with "Nothing Runs Like a Deere" on the sides. 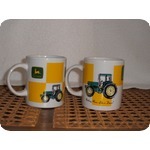 One of a kind item. buy them now.